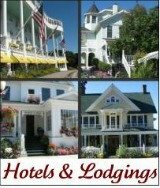 The Mackinac Island Lodgings Year Round: There are four options after the end of October each year. 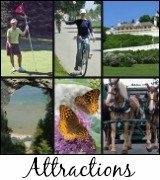 If you appreciate solitude and want to see first hand how a community of around 523 people enjoy this life-style then head to Mackinac Island during chilly months. It is a wonderful place to enjoy the winter festivities and activities without the worry of driving a car! The Island is beautifully decorated with Christmas trees, garlands, and wreaths during the holiday season making even a short walk down Main Street feel like an adventure into the days of old. Bogan Lane Inn which is up the hill near Ste. Anne's Catholic church; It's a quaint B&B and the owners will make you feel as though you are part of the family. 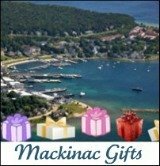 Click on their website and you will view some beautiful winter scenes of Mackinac Island. The Pontiac Lodge is a hotel rather than a B&B; It's a great place if you don't want to have the homey comforts of a B&B and is right downtown. 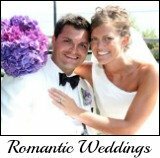 You can call Park Place Suites at 906-430-7400 or email parkplacesuites@live.com for information and reservations. 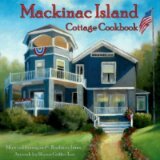 In addition to these four listings, The Cottage Inn of Mackinac Island is open from November 30, 2018 to January 1, 2019. They offer a warm setting to those who want to celebrate the winter festivities on the Island. Insider Tip: During the off seasons and with only a few lodgings year round, be sure to check the Ferry schedules. Visit our page with suggestions on Getting to Mackinac Island year round! Follow us on Facebook to keep up to date with fun trivia and facts about Mackinac Island! The Island is a very popular destination during the holiday season and especially for New Year’s Eve. Make your reservations in advance to secure your first lodging choice. You will feel enveloped in the quaintness and small town friendly atmosphere. The holiday decorations line the streets and winter activities abound. Many winter visitors return again and again! Mackinac Island has wonderful hiking trails. CLICK HERE to read about the history of the Mackinac Bridge. CLICK HERE to learn about Dog Sled Races in Michigan. CLICK HERE for information about the very popular Pond Hockey in Michigan's Upper Peninsula.